The Buddha spoke of great things during his time on earth, and created many suttas for mankind to learn from. His sutra’s had many pearls of wisdom for man to absorb; they even still apply today. His suttas taught compassion to all, regardless of negative actions towards us. Interestingly, Buddha also gave advice for different types of people that we meet in life. He was especially interested in the friendships we make, because those form our environment and influence us. 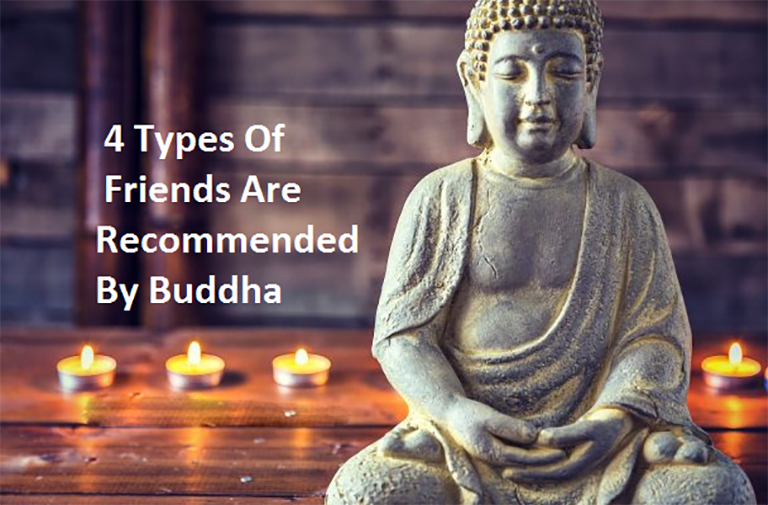 He described 4 different types of friends we meet and should seek: the helper, the friend who endures in good times and bad, the mentor, and the compassionate friend. This person can be identified by four things: protecting you when you are vulnerable, a refuge when you’re afraid, and in various tasks providing double what is requested. One who is always there to give aid when needed, one who asks for little to nothing in return. They will always protect you and show you the way when you are lost or need guidance. He can be identified by four things: by telling you their secrets, guarding your own secrets closely, not abandoning you in misfortune, and even dying for you. The friend who stands by you through every event in your life, and will always there for you. The enduring one does not pass judgment, but is simply there through it all for you. Can be identified by four things: by restraining you from wrongdoing, guiding you towards good actions, telling you what you ought to know, and showing you the path to the heavens. This type is a teacher or parent/care giver, someone who teaches through love, kindness, their own actions and compassion. This person has the most patience with you and truly wants to set an example. Can be identified by four things: by not rejoicing in your misfortune, delighting in your good fortune, preventing others from speaking ill of you, and encouraging others who praise your good qualities. This person showers you with love, praise and happiness regardless of times. They are there to hold your hand and support you through everything. They express their love for you through words, actions, and physical touch.